Rails to Trails bicycling bliss! This new tour was a natural progression for us since we have been running bike tours along the Erie Canal for the last 18 years. Understanding the challenges of a ride that is ALL on bike path is imperative. 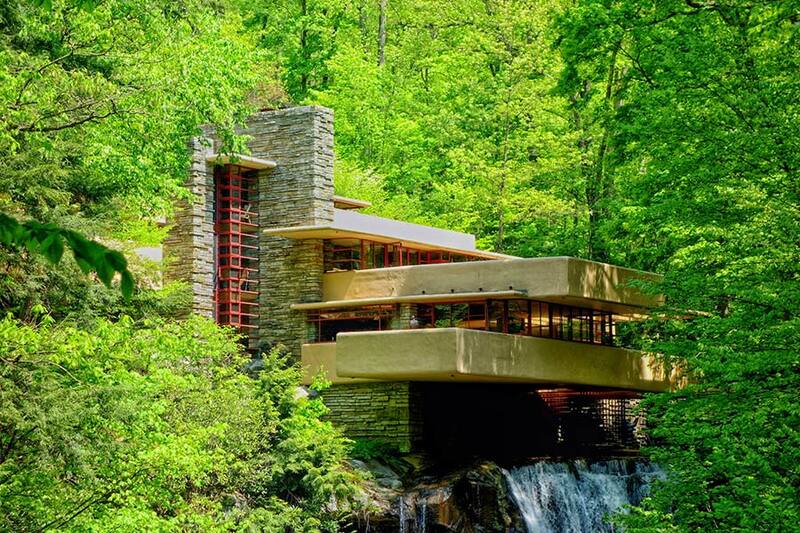 We love all that this destination has to offer, and we think you will too! 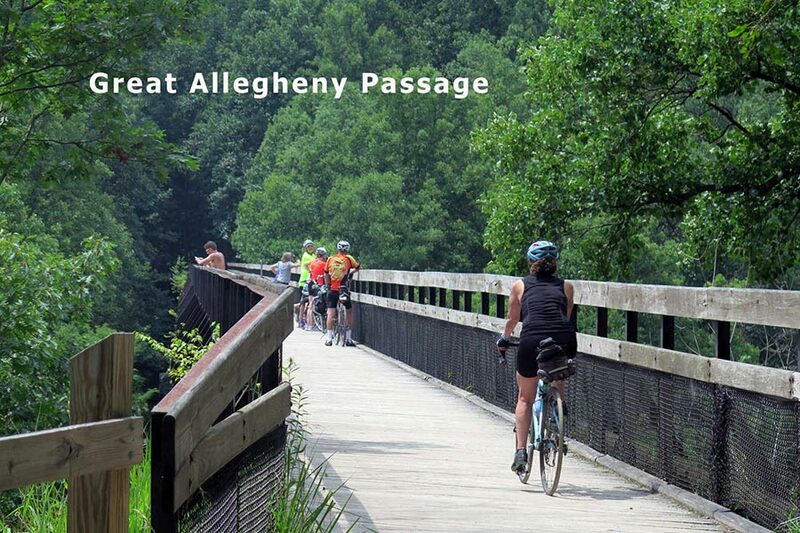 The Great Allegheny Passage meanders some 150 miles, connecting Pittsburgh, PA to Cumberland, MD. 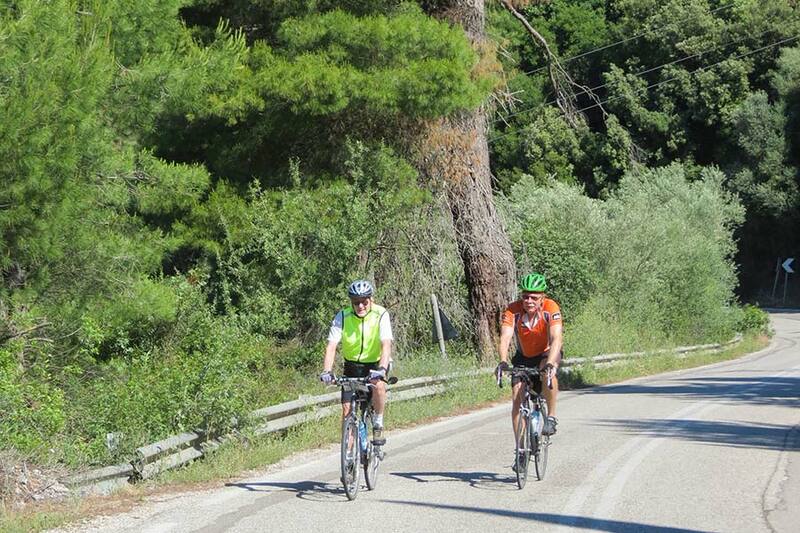 There are small towns every 10 miles or so that provide essential cycling comforts. The surface and grade are ideal for hybrid and touring bikes, as most of the trail is converted from abandoned rail beds, which makes for a nearly level riding surface with the average grade of less than 1%. The steepest eastbound grade - 0.8%, and the high point of the trail, is where it crosses the Eastern Continental Divide near Deal (2,375 feet above sea level). 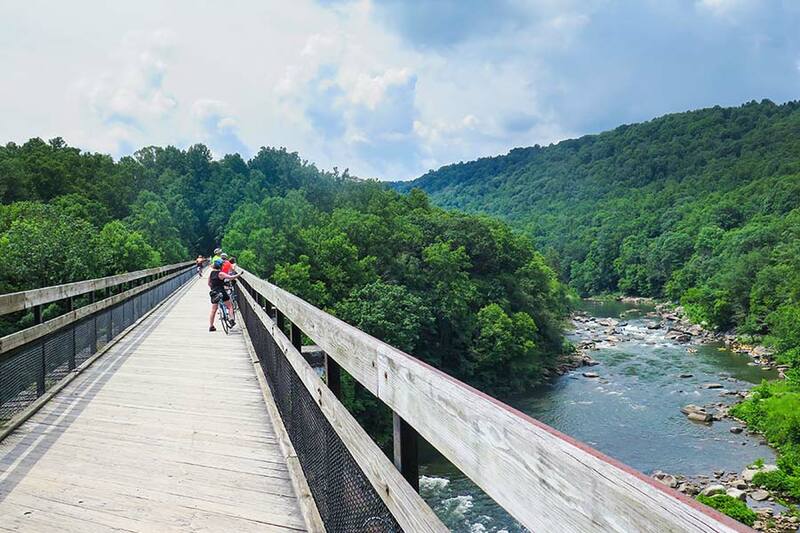 From the Eastern Continental Divide heading toward C&O Canal, the trail drops 1,754 feet in 24 miles to reach Cumberland. 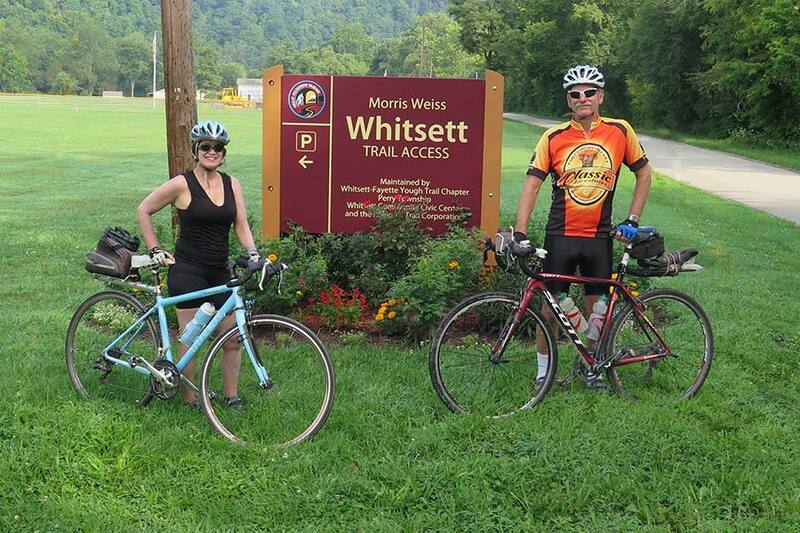 We cordially invite you to experience the natural beauty of this rail trail. We've carefully broken up the rides so that you'll have ample time to relax, take in the sights, and enjoy! We encourage you to add on a visit to Pittsburgh, PA, our starting point. This trip ends in Cumberland, MD - the beginning of the C&O Canal. You might even ride a little of this canal. At the end of trip we'll offer a shuttle back to your car. Schedule a flight departing Pittsburgh International Airport after 2 PM. Today's ride will have you high above the ground! Bike over 100 feet of rail bridge and across the 101-feet-high Salisbury Viaduct for views of the Somerset wind farms. Tonight, enjoy a homemade dinner at the Levi-Deal Mansion. (42 miles). After a hearty breakfast we make final farewells and then shuttle back to Pittsburgh.